The AM-5AC22-45 sector antenna belongs to the airMax series. It is very popular among users thanks to its high capacity, quality and affordable price. 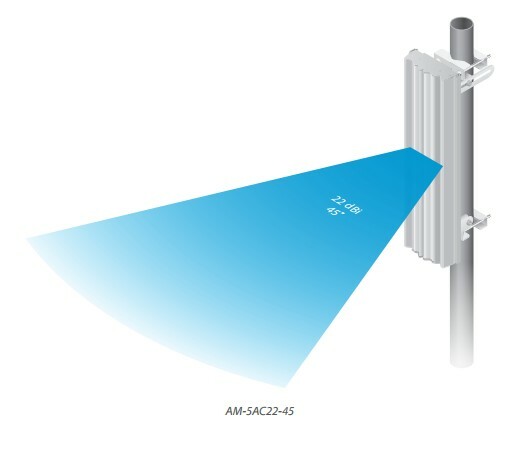 The AM-5AC22-45 is a new generation of AirMax 2x2 MIMO 802.11ac devices. It is distinguished by high scalability, isolation and capacity. 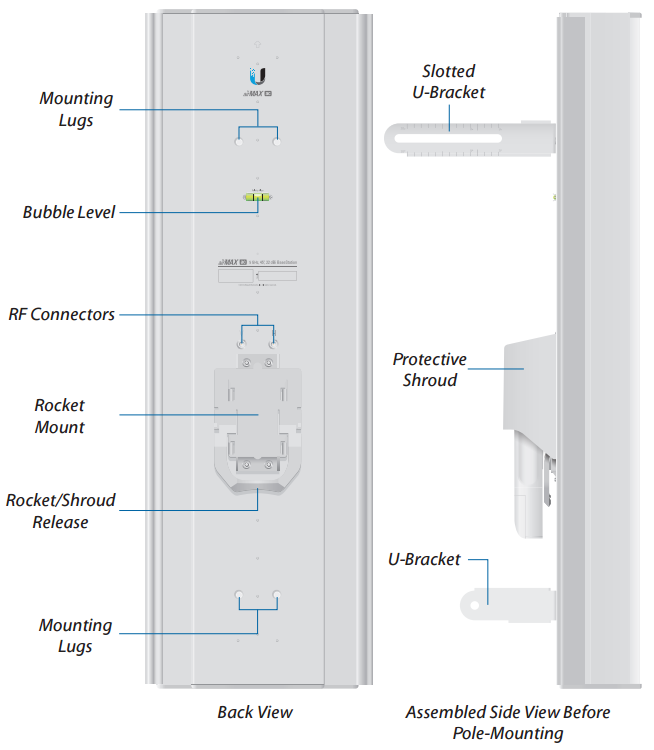 The AM-5AC22-45 sector antenna is designed to guarantee high gain and beam capacity in Point-to-MultiPoint links. A modern deflector design results in the reduction of interference from nearby emitters. A solid, durable construction works perfectly in outdoor environments. The product is Rocket 5ac and Rocket 5M compatible. The maximum gain of the antenna is 22 dBi. The standing wave ratio is 1.5:1. The device is used to create Point-to-MultiPoint links.